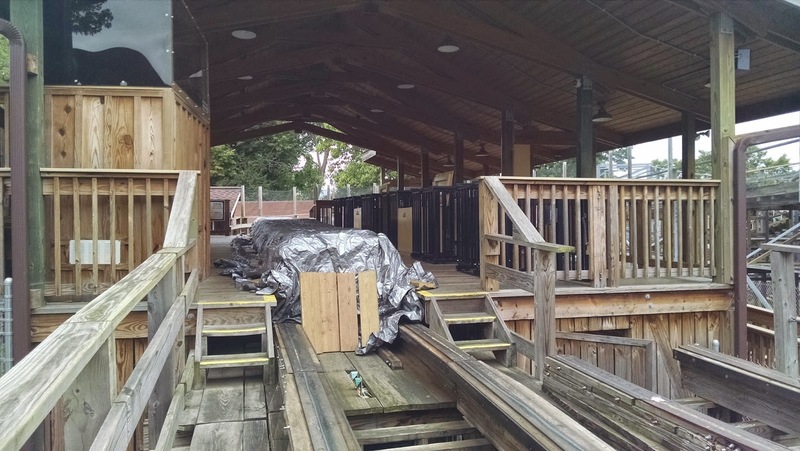 It has only been two short weeks since rides were humming, slides were splashing, Showtime Theater was rocking, and games were buzzing, but all of that seems like a distant memory based on how fast Waldameer is preparing for Winter. With Halloween only a month and a half away, and the temperatures cooling, Waldameer surely has taken on an eerie Fall feeling. However, that doesn't mean we weren't treated with some interesting previews of things to be excited for the 2015 season. Grab a jacket, it's a little on the cool side. Scrambler cars are being prepped for removal and storage for Winter. 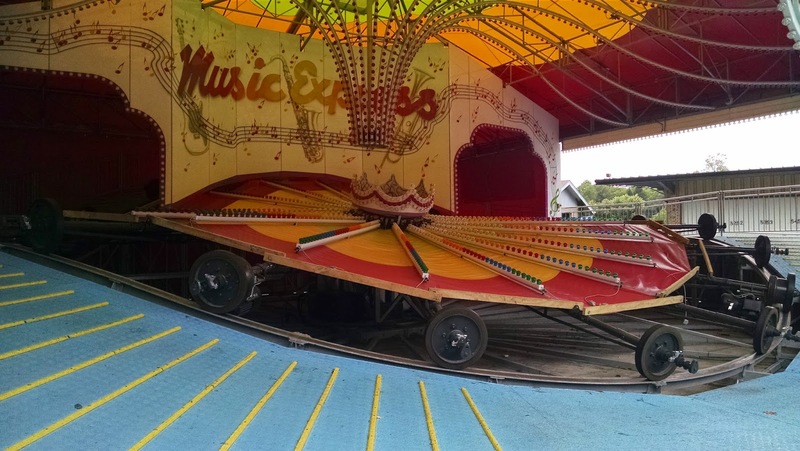 Music Express has been muted, for now. Many of the ride vehicles gather inside an enclosed Dodgem building for hibernation. 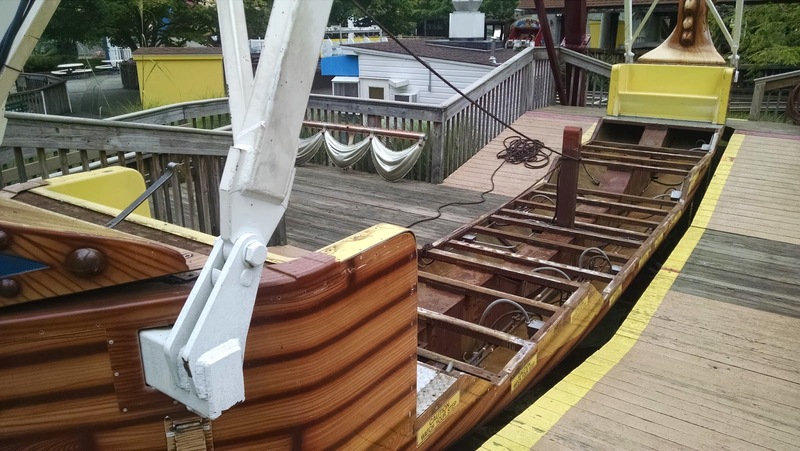 While it may be sad to see our favorite rides being put away for the Fall and Winter, Waldameer and Water World is also hard at work in preparation for not only the Giant Wave Pool, but improvements to several rides and attractions that will be surely welcomed. 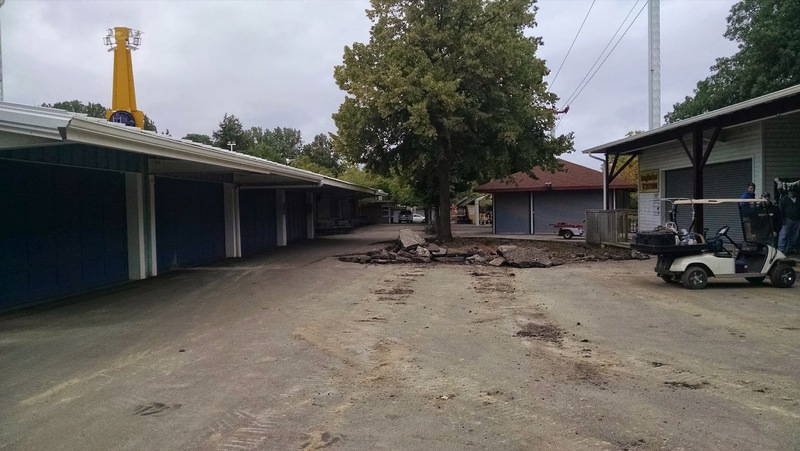 The old Ticket Booths were the first thing to a go after 2014. Now you can see all the way back to the Gift House. So much more elbow room! 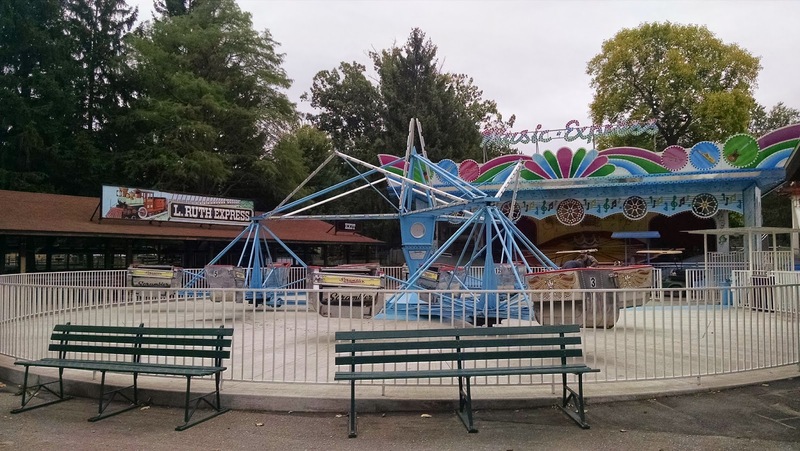 On the left, there is no sign left of the former Pretzel Cart. Lots of space now for many more convenient Ticket Booths. Sea Dragon is delicately being disassembled down to each and every nut and bolt. Where could it be going? 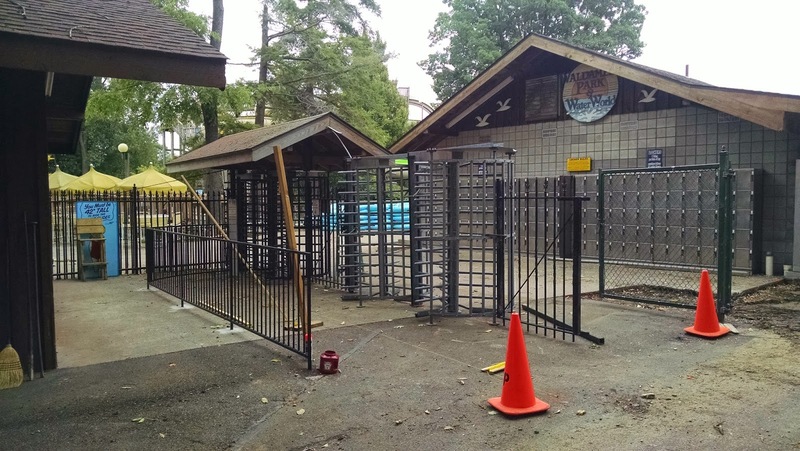 No time is being wasted as we double Water World entrance turnstile capacity. 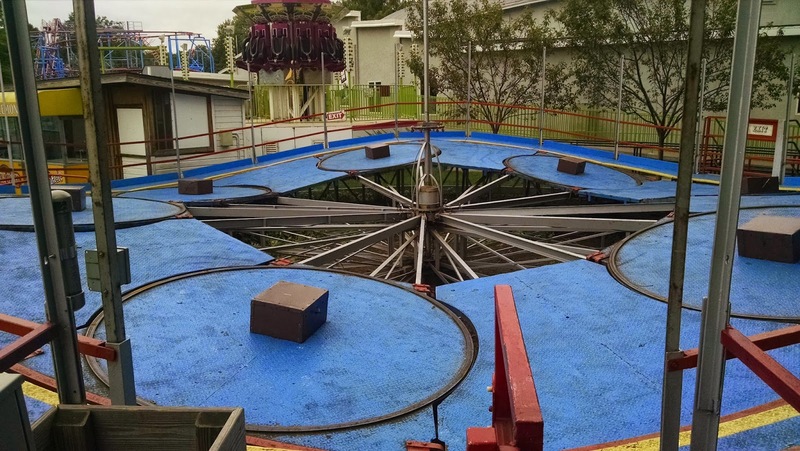 Wait, the season is over, but the furnaces are roaring to heat up Ravine Flyer II? Could it be preparing for some test runs? Why could this be? In two short weeks since our last operating day a lot has changed, but there is a lot to be excited for in the future. 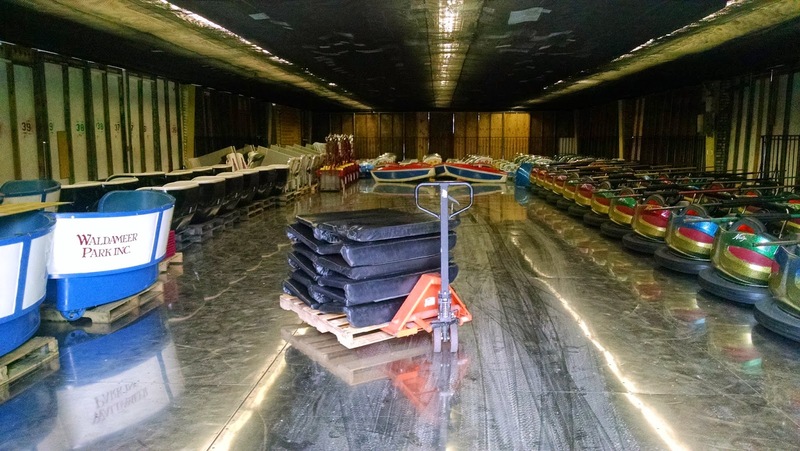 With all the hype and excitement for the Giant Wave Pool also comes even more work to prepare the rest of the amusement park and water park for what might be the most successful season in 118 years of Waldameer. 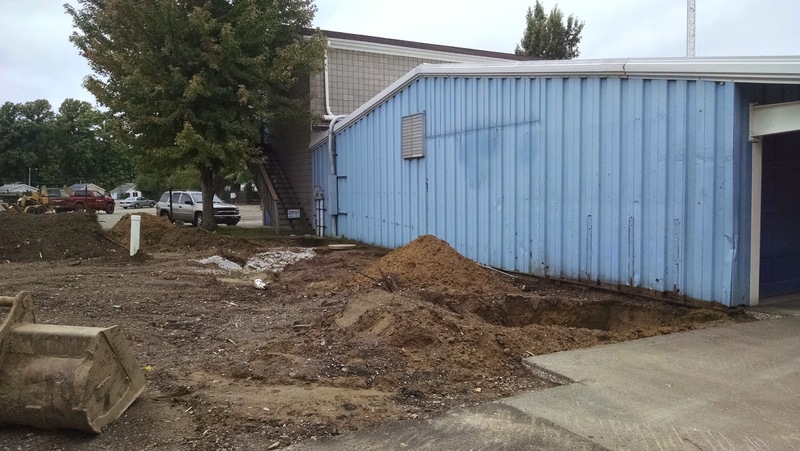 Keep your hard hats handy, as our journey to 2015 is only in its infancy.